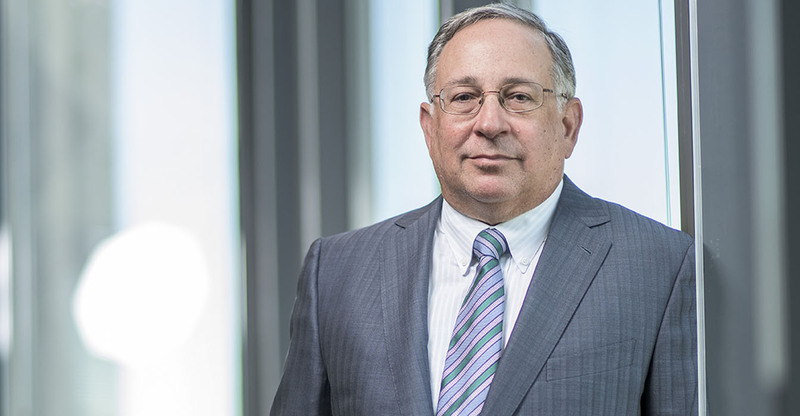 When one of the nation’s top trial lawyers joins one of the most successful trial law firms, the relationship should thrive. And that is the case with Gayle Klein, a former Weil partner who joined McKool Smith’s burgeoning New York office in 2008. The University of Texas School of Law graduate wanted not only a trial firm but also one that would allow her to be on the other side of the courtroom from financial institutions. 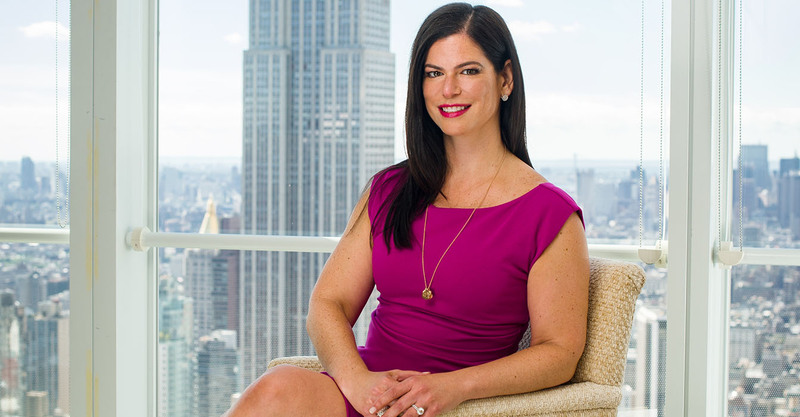 In her largely New York-based practice, Klein has done more than flourish as co-chair of McKool Smith’s financial products litigation team. Lawdragon: Did you know in law school that you wanted to be a courtroom lawyer? Gayle Klein: I enjoyed participating in moot court in law school, but my passion for the courtroom took hold when I started taking depositions and attending hearings. During the first three years of my practice, I was required to take at least three depositions a week on behalf of a defendant in asbestos cases. That meant waiting several hours to ask maybe 20 minutes of questions about a particular product. Although some colleagues did not consider that a cherry assignment, I did. Through trial and error, I learned how to develop effective examination outlines, really listen to the witness, and be nimble with questions. I also learned that you gain great insight from any deposition or courtroom opportunity, no matter the subject matter or size. So I volunteered every chance I got – and sometimes practically begged – to speak in court or examine witnesses. And, of course, once you demonstrate an aptitude in the courtroom, the opportunities present themselves. LD: Why did you decide to join McKool Smith and what has kept you at the firm? GK: When I decided to move to New York, I spent a year interviewing to find a firm that offered the right fit for me and my practice. I wanted to work with skilled trial lawyers in an entrepreneurial firm that viewed New York as a strategic growth area. Additionally, I needed to be able to represent clients adverse to banks and other financial institutions. McKool Smith fit all of those criteria. The firm has demonstrated unwavering support for the growth of my practice since I joined in 2008. What started as a single case against Wachovia has turned into a thriving national practice with more than 40 lawyers from coast to coast. We represent several hedge funds, private equity firms, trustees and other sophisticated companies against many of the world’s largest financial institutions. The people at McKool Smith and the culture of the firm have made it a great home. We pride ourselves on being a trial firm first. I’ve met with prospective clients who have asked why they should hire a trial firm when they aren’t looking for their case to go to trial. The answer is simple. Trial lawyers are not only effective at trying cases, we are also effective at creating leverage so that the case can resolve without the need for a trial. McKool Smith has about 185 lawyers, which allows my clients to benefit from a vast amount of expertise. We’ve seen the inside of every courtroom and handled every type of dispute that you can imagine. The level of rigor we bring to our practice and the high level of client service we provide is something that I am very proud of. LD: I know that you co-chair the firm’s financial products litigation team and handle a wide range of other cases. What is your caseload like these days? GK: My docket right now leans heavily toward securities and investment-related litigation. I’m currently working on eight very active residential mortgage-backed securities (RMBS) cases where we are seeking to enforce contractual rights related to the sale of billions of dollars of defective mortgage loans. One of the cases against Citigroup is set for trial in February 2017. So, my foreseeable future will revolve around preparing for trial. Beyond the RMBS cases, I have been working on market fraud matters relating to complex financial products and other interesting breach of contract cases. LD: When looking back over your career, is there a case or client that stands out as particularly memorable – either for the result or a lesson learned? GK: One of the things I like most about being a trial lawyer is that you have the opportunity to learn about many different industries and subject matters, so it keeps things interesting. Mike McKool and I tried a case last year for Alcoa Power Generating that stands out as memorable because of the subject matter. Alcoa and its predecessors spent 100 years buying parcels of riverbed and constructing four hydroelectric dams on the Yadkin River in North Carolina. The state disputed Alcoa’s ownership of the land and dams, and the central issue to the dispute was whether this 45-mile stretch of river was navigable at the time of North Carolina’s statehood in 1789. If the river was navigable at statehood, it was a highway of commerce and not susceptible to private ownership. The challenging aspect of the case was to prove the physical conditions that existed without any fact witnesses. We worked with scientists to prove the geography of the river and the likely erosion of the riverbed over time. We worked with a marine archeologist to prove what kind of boats existed and whether they could traverse that geography and river flow. And we worked with a historian to understand whether anyone was actually traveling on the river. The texts he relied upon included diaries from the Revolutionary War and from a group of settlers who lived near the Yadkin River and documented their daily lives. Every part of that case was fascinating and a lesson in history and science, which made the client’s courtroom win particularly satisfying. LD: How would you describe your style as a lawyer? Has it changed over the years? GK: I think my clients and colleagues would describe my style as client focused and detail oriented. Everything that I do on a case is related to the client’s end goal. The first questions I always ask clients include what are their business goals, how the current issue impacts their business, and what constitutes a “win.” Our clients enjoy working with us because our top priority is the success of their businesses and we work hard to minimize litigation distraction. We also implement targeted strategies and avoid fighting just for the sake of the fight. Over the years, I have noticed that focusing on the factual detail is powerful and creates case insights. For example, as we were preparing for the Alcoa trial, we plotted precisely where along the riverbed certain towns, bridges, and other physical landmarks had been located. Pinpointing these locations – which the other side did not do – created a powerful image of how people lived and worked along the river over 100 years ago. LD: Can you name a lawyer you have come up against in litigation whom you admire, and why? GK: I greatly admire the women practicing in securities law these days. On both sides of a case, we are strong, insightful, and experienced in leading large and complex matters. Kathy Patrick of Gibbs & Bruns has done an amazing job seeking redress on behalf of investors against major financial institutions. There were many parties with differing interests and she managed to wrangle them all and successfully resolve billions of dollars in claims. And I have been litigating against Susanna Buergel of Paul Weiss, who represents Citigroup, for more than three years now. I appreciate that we can steadfastly disagree over the facts and the law, and yet still work together in a collegial manner to move the cases forward. LD: You have lived in New York, Texas and California over the years. Was there a reason you have moved around? GK: I grew up in Corpus Christi, Texas, and it was my dream to live in Dallas, Texas. I moved when professional and personal opportunities presented themselves. Although I am profoundly goal oriented, I also believe that you should not let those goals get in the way of seizing interesting opportunities when they present themselves. I think that is one reason why McKool Smith is the right firm for me. Although the firm had strategic growth initiatives, our growth in many practice areas, such as our recent addition of an insurance recovery practice, was largely based upon being entrepreneurial and open minded. LD: Legal industry reports note an increase in law firm competition and client concerns about reducing their overall legal spend. How have these developments impacted your practice? GK: Companies have been growing their in-house capabilities, and as a result, there is a decrease in demand and a resulting increase in law firm competition, especially for the bet-the-company cases that are in our wheelhouse. However, these developments have not impacted the way that I practice law. At the end of every engagement, our clients should feel that they have received exceptional value for the money they have spent on our services and the advice they have received in return. We have always taken measures to control costs, such as staffing cases leanly and using outside vendors where appropriate. Additionally, McKool Smith is a market leader in implementing all manner of alternate fee arrangements; we have been using them to achieve great value for our clients for more than 20 years. For example, in addition to straight contingent-fee work, I have defended class actions on a flat fee and been paid success fees for obtaining an early defense victory. We have also been working with litigation funding firms for years. LD: What do you do when spending time away from the office? GK: I am very active in my neighborhood. I am a Trustee of the Madison Square Park Conservancy and serve on its executive committee. We raise 99 percent of the funds to operate Madison Square Park, which has existed as a public space since 1686. It is also the birthplace of baseball and home to the first community holiday tree in America. I also enjoy traveling. To relieve stress, I work out. I’ve run two marathons, many half-marathons and 10ks, and I enjoy dance cardio at the Tracy Anderson Method Studio.